To start things off, it’s not as hard as you might think to find cruelty-free shoe options. There may be people out there that say some of the best hiking boots are made from leather or something like that, but there are great synthetic options as well, that many hikers—vegan or not—prefer to leather. You don’t have to sacrifice any quality either. There are plenty of boots to choose from that don’t contain any animal products, and there are even some companies that advertise it. There are other things to take into account as well when shopping for vegan hiking boots. The main thing would be the glues that they use to hold them together. These usually have to be very strong, and sometimes can contain animal additives/dyes, etc. Most companies are not very forthcoming with their adhesives and it can be difficult to tell which glues are vegan, and which ones aren’t. For the purpose of this series, we won’t dwell on the glues, and what they may or may not contain. However, the brands that advertise as vegan we will be sure to highlight those. The products listed here will contain materials that come from non-animal sources. In short, if you want to be 100% certain and support vegan companies, look for the “Advertised as Vegan” label in this guide. These boots are a pretty good option if you’re in the market for a waterproof boot. They have a Gore-Tex lining to help keep the water out. They have good traction and stability. The Vibram outsole is to thank for that. They allow for a smooth transition from flat ground to different kinds of terrain with a great grip and durable upper construct. They’re breathable and have a removable bootie liner to keep out debris. They’re shock absorbing a don’t have a tongue, so they can just slip on. Super comfortable and seamless for extra sturdiness. 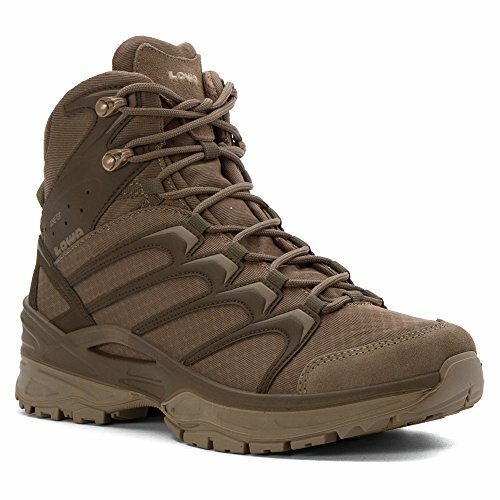 These boots are great for experienced hikers and backpackers who like to keep moving and stay light on their feet. They have a more traditional design. They don’t have the removable bootie liner, and they do have a tongue, but they’re still really comfortable. Once you break them in with a few adventures you can slip them right on. They also have the Gore-Tex lining and Double Injection DuraPU midsole. They fit well and are very comfortable but might not be the best as far as durability. The women’s boot is available here. This is another great option for hikers that are quick with their pace and like to have light footwear to keep it that way. These boots don’t take nearly as much time to break in, most hikers have found them to be comfortable right out of the box. 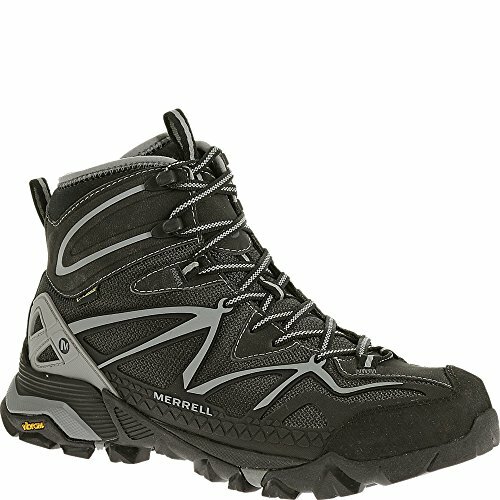 They absorb shock very well because of the Merrell air cushion in the heel. 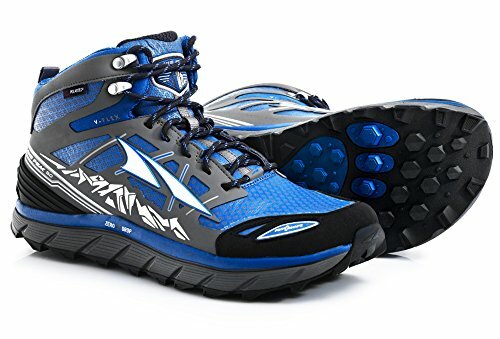 They have a very sleek design, they don’t look very heavy or like your ordinary hiking boot, they could easily be mistaken for a running shoe. These also have the Vibram outsole, and the overall rigidity of the boot allows for off-roading with ease, without compromising support. These wouldn’t be ideal for snowy conditions, but they are very breathable, and the Gore-Tex lining allows for trekking through wet terrain. Can we talk about how stylish these boots are? If you find you don’t want to use these for trekking, you’ll certainly find other uses for them. These look like they’re made from real leather, it could probably fool the most trained eyes. But this is one shoe that prides itself on being 100% vegan. They’re water resistant and good for most uses. They probably shouldn’t be used in the winter since they’re not completely waterproof, but for the other three seasons, these boots will have you hiking in style. They have a good grip, not the best, but still satisfactory for less rough terrain. They are also wide fit which allows for extra movability and comfort. They have women’s boots available through their website. These boots are pretty good quality, but they don’t seem to have the best reviews. They work best on alpine expeditions in the winter, but for most other treks these seem to fall a little short. They’re not the best for regular pedestrian hikes, but if you’re a mountaineer you may have met your match. They’re comfortable right out of the box and seamless upper and direct-inject lacing system resists abrasion and helps to bring down the weight of the boot. 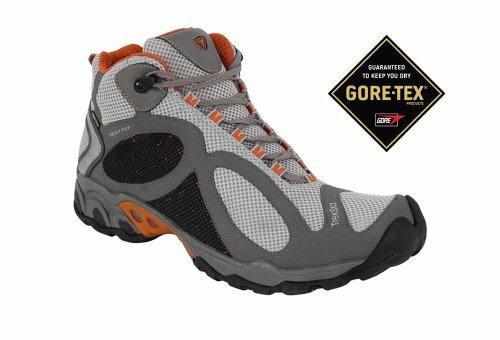 They also have the Gore-Tex lining making them waterproof. These boots are complete with Vibram soles to make them extra grippy. Even though they work better in alpine conditions, some people say they don’t keep the heat in very well so make sure you insulate. Women’s boots are available here. These boots get good marks in all aspects. They have a sleek design that isn’t too bulky. They’re not waterproof, but the Wind-Tex lining is water resistant. They’re fairly durable, not as much as some of the others on the list, but they get the job done. They would be great for someone who doesn’t trek as much but still needs a good shoe. They still have the Vibram sole, so they’re good in the gripping and traction department. These are very well made and sturdy. 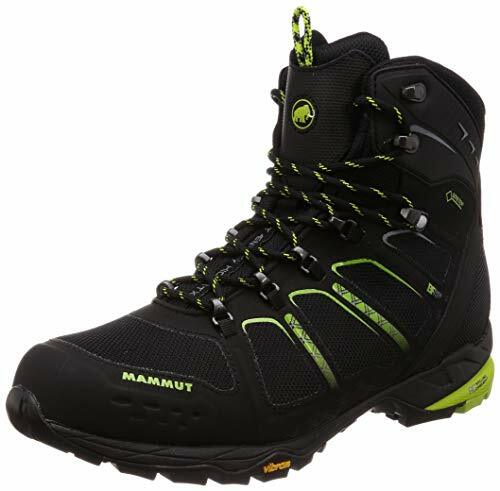 They would be a great first pair of boots for someone who is looking to get into hiking but doesn’t want to get a heavy duty pair of boots just yet. These boots have some major upsides. If you want a boot that has good protection, these offer a high-quality synthetic material that is breathable and durable. If you want a comfortable boot this one has Memo Foam cushion on the inside and is built to support the natural roll of your foot using the Mammut Rolling Concept technology. This boot helps reduce fatigue and has a flexible fit that still gives you all the support you need. The Aenergy is outfitted with Gore-Tex membrane allowing them to also be waterproof. So, in terms of comfort, durability, and functionality, this boot is doing a pretty good job. The women’s boot is available here. This is Altra’s debut into the world of hiking boots and they definitely went above and beyond for their first go around. Those boots are super lightweight, you could probably even use them for running once they get a little too worn for the trails. They have a great amount of stability and are easily broken in. Unlike the other boots on this list, they don’t use Gore-Tex for their waterproofing, they use Polartec Neoshell and gaiter attachments for when things get really wet. 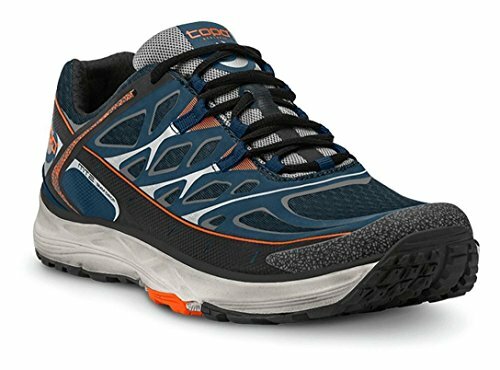 These are best for quick paced light load hikers, or trail running looking for extra stability. They come in an array of colors, so they’ve got something for everyone. 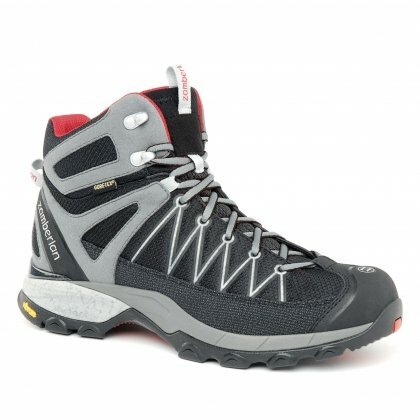 This is another running shoe copycat hiking boot. Don’t let the lightweight, sleek design fool you, this boot can trek you through all four seasons with no problem. It has been rigorously tested to fit the natural curve of your feet, allowing for a more comfortable trek will make you want to keep going for miles. It’s still outfitted with a Gore-Tex membrane to keep the moisture out. On top of all of that is has a triple-density EVA insole for excellent arch support. They are great quality, and for a light hiker, these will do more than serve their purpose. They are made up from a mix of Kevlar and Cordura, both synthetic materials. Kevlar is known for its strength, but Cordura also combats tears and abrasions, while still being breathable. These have a Vibram outsole coupled with thermoplastic urethane stabilizers, to make sure the boot has an extra good grip. No part of this shoe is leather. The superb grip makes these good for hikers with heavy loads. They’re pretty lightweight and have the Gore-Tex lining to help keep out the water. They’re a nice and flexible shoe that conforms well to the shape of your foot, allowing for a comfortable hike. Adidas is known for their running shoes, and they stayed true to their roots even with this boot. It has the feel of a running shoe, but it performs like some of the best boots, giving them an upper hand on versatility. They have an Adiprene shock absorbent foam midsole making this boot extra comfortable, while also keeping them nice and lightweight. And don’t be fooled by the shallow lugs of the Traxlon rubber outsole, they still grip pretty well on almost any terrain. These are still waterproof, and they have a molded TPU toe cap for added protection. They’re durable and can go toe to toe with some of the best shoes. These are advertised as a running shoe, but that stand up with some of the best lightweight boots when it comes to durability and grip. They have multi-directional lugs for better traction and stability. If you’re hiking a small trail, or not carrying too much weight these are perfect for keeping light on your feet and super comfortable. They’re water resistant and have a gusseted tongue to help keep out debris. They’re breathable and have a roomy toe box so the shoe doesn’t get too tight while you’re hiking on different terrains. Because these shoes are so lightweight and versatile they can easily slip from trail to road to path with ease, without losing your grip. If you want a boot with style, comfort, and amazing grip then Native Shoes might have the boot for you. All of their boots are sleek and don’t have the rugged appearance that most boots on the market do. But, don’t be fooled by it’s pretty face. These have a super deep, two-part outsole for durability and extra traction. When it comes to comfort, these boots are lightweight and go the extra mile by adding a foam insole for more relief during long hikes and treks. They’re waterproof and didn’t need the thick Gore-Tex lining to get the job done. They have soft micro-fleece lining and come in a few colors, so they have something for everyone. Not to mention they’re very affordable making these a great first investment. These boots provide you the barefoot experience without risking the sole of your feet. It’s lightweight, breathable, and very comfortable, almost like you’re wearing nothing at all. The upper part is made of mesh, but it’s coated in PU wax and backed with a waterproof layer to help keep the moisture out. These are really cool because the upper overlays are made from recycled tires, so they have all the makings to be extra sturdy. These boots are vegan but Vivobarefoot does also make leather boots if you want to be conscious of that. 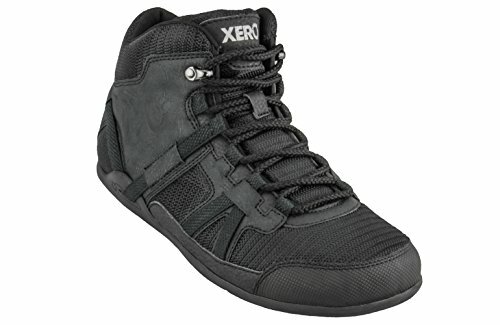 It has a puncture resistant PRO5 outsole for extra protection and a heel pull tab, so you can easily slip these on and off. 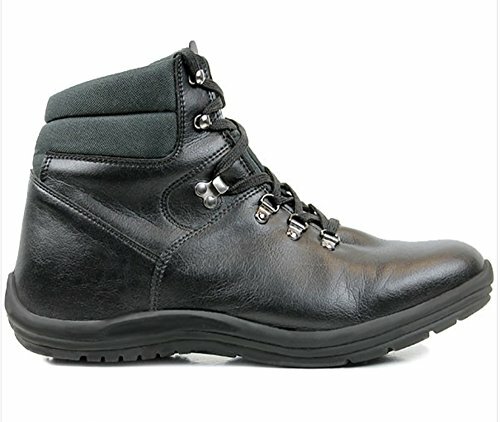 Similar to the VivoBarefoot this is another really lightweight hiking boot. It has a FeelTrue rubber sole, so you get as close to the ground as you can without harming your own feet. They’re very comfortable, built to fit the natural shape of your foot with wide toe box to let your toes spread out and not feel as crammed inside a shoe. They’re durable and water resistant when things start to get wet. They have adjustable instep straps, so you can get the fit just right, and they have a removable sock liner if you really want that true barefoot feeling. The tread is a dual chevron so the grip is pretty good, and they have a women’s shoe available here. This is probably Eco-Vegan’s most popular shoe, and with good reason. These shoes are high quality, very comfortable, and eco-friendly. These shoes are comfortable without breaking in, according to their site. They are sturdy, and the sole has an anti-slip profile, so they work great for rough terrains. It’s not waterproof but it is water resistant, and the shoe is very breathable. What’s really great about these is the replaceable eco-OrthoLite insoles. If you’re used to wearing hiking boots a lot, it’s no secret how smelly and dirty the insides of them can get, so the replaceable soles help with the upkeep of these boots. The toe and heel are reinforced with a layer of Keprotec to keep these bad boys going for thousands of miles. These boots not only look the part, but they also play the part too. They are made completely of recycled materials so a round of applause for that. They’re also handmade, so the precision and quality are unmatched, not something you would see in the stores, or in larger brands. The body is made from recycled truck tire air chambers, and the rubber soles are made from shredded tires. Because it’s made from such high-quality rubber it has a high abrasion resistance and supports a lot of pressure. It also makes it very water resistant. It has foam soles where the pressure is the greatest, in addition to boosters in the toe and heel. Overall, it’s a really great boot, and it’s fully sustainable. If you didn’t know any better, you would definitely think these were a running shoe. They’re very lightweight and look like an average pair of sneakers. They have a Gore-Tex lining to keep the water out, so even though they’re smaller than your average boot, they come with the same essential features. It has a flex collar which increases the range of motion around the ankles, which can be a good thing or a bad thing depending on what you’re using this for. It has the moisture wicking Ortholite footbeds, to keep your feet nice and cool. They also have Michelin technical performance outsoles for better stability. So even though these don’t look the part, users say these can get you through some rough terrain. These would be great for light trails and hikes, but many people have said these don’t make the cut for long trails, or rugged terrain. They still have some great features though. They have a dual density sole, so they can hold up for a while as long as you’re not getting too rough with them. They also have a Cambrelle lining to keep your feet temperate and dry, despite outside conditions. They’re mainly made from fabric so they’re very breathable, but that also makes them less water resistant. These are best for warm, dry hikes.